Brad Barket/GettyShaquille O’Neal at American Express’ ‘Teamed Up’ event Monday night. 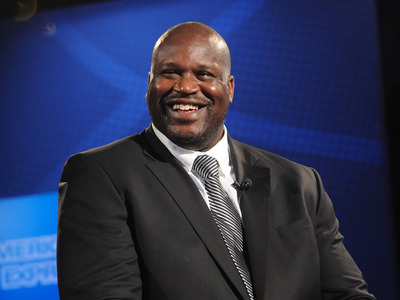 NBA legend Shaquille O’Neal has been in the same situation the Cleveland Cavaliers currently face — a 2-0 deficit in the NBA Finals. O’Neal’s 2006 Miami Heat team trailed the Dallas Mavericks 2-0 in the Finals before then making an incredible turnaround, winning four straight games to win the championship. Prior to speaking with Knicks president and former Lakers coach Phil Jackson for American Express’ “Teamed Up” event in New York City Monday night, O’Neal sat down with Business Insider and explained that the Cavaliers are not doomed just yet. But O’Neal also acknowledged the steep uphill battle the Cavs face, and that there’s danger on the horizon. There are few things in Cleveland’s favour currently. Many people felt the Cavs could gain an edge by using their size to beat the Warriors on the glass and score with ease around the basket, but that hasn’t played out in Games 1 and 2. O’Neal still thinks going big may be worth a shot for Cleveland if they play center Timofey Mozgov, who has played a small role thus far. O’Neal may be right — it could be beneficial for the Cavs to play to their strengths, rather than trying to match up with the Warriors. But even if Mozgov is the answer, O’Neal seemed to acknowledge that few big men can match up with the Warriors, particularly when they go small with the 6-foot-6 Green at center. O’Neal admitted the Thunder got away with playing their big men because they’re very athletic. Additionally, with the amount of switching both teams are doing on defence to prevent holes from opening up, it may be difficult for Mozgov to stay in the game. Thus far, Cleveland hasn’t shown the necessary communication to stop the Warriors’ deadly pick-and-roll attacks. O’Neal summed up what many around the NBA world are thinking — it’s not over for the Cavs, but they’re facing a daunting task to beat these Warriors.